The wars in the last three decades have demonstrated the indisputable dominance of aerospace power. 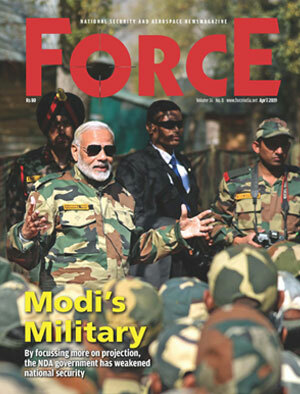 Its capability to shape the sequence of events in the battlefield and its enormous impact on the operations of surface forces have brought in a paradigm shift in the fundamental war-fighting concepts. The role of aerospace power in the Gulf War (1991), Kosovo (1999) and Iraq War (2003) undoubtedly demonstrated the significance of overwhelming the adversary’s air defences for achieving complete air dominance. These wars were fought under grossly asymmetric conditions which may not be the situation in the future wars in Asia. Air Defence (AD) operations would remain central and critical to the survival of offensive forces. The technological revolution in the field of military aviation, anti-radiation weapon systems, Unmanned Aerial Vehicles (UAVs), ballistic and cruise missiles, and space-based Intelligence, Surveillance and Reconnaissance (ISR) technologies have added new complexities in the planning and execution of air defence operations. While the AD of the country is the responsibility of the air force, providing terminal AD cover to certain strategic assets and low and medium level cover to army assets in the Tactical Battle Area (TBA) is the responsibility of the Army AD. Due to the large number of assets that merit AD protection, the Army AD is in the process of evolving from point AD to a concept of Area AD cover by theaterisation of AD assets. This involves central allocation of the AD resources within to provide area coverage in the theatre with point defence to critical assets, along with dynamic allocation and re-allocation based on varying air threat, to meet the overall requirement. The air defence setup relies upon engaging airborne platforms before it can release its armament, thereby denying it the opportunity to carry out effective targeting. This has been possible with a large variety of sensors of the three services which provide Early Warning (EW) of the threats, providing multi-spectral acquisition and tracking, while reducing the efficacy of the adversary’s ECM quests. However, these systems are in the process of integration, in being able to talk to each other, to provide an automated integrated EW solution. The threats are then countered by aircraft and AD weapons of the three services, highlighting the need for central control and coordination. Stealth Aircraft: Improved designs to include contoured airframes, heat suppression exhausts and radar absorbent materials are enabling aircraft to achieve low detectability. The employment of nanotechnology has further enhanced this capability. These are likely to pose a potent threat due to their ability to enter own airspace undetected and target key installations during critical stages of battle.